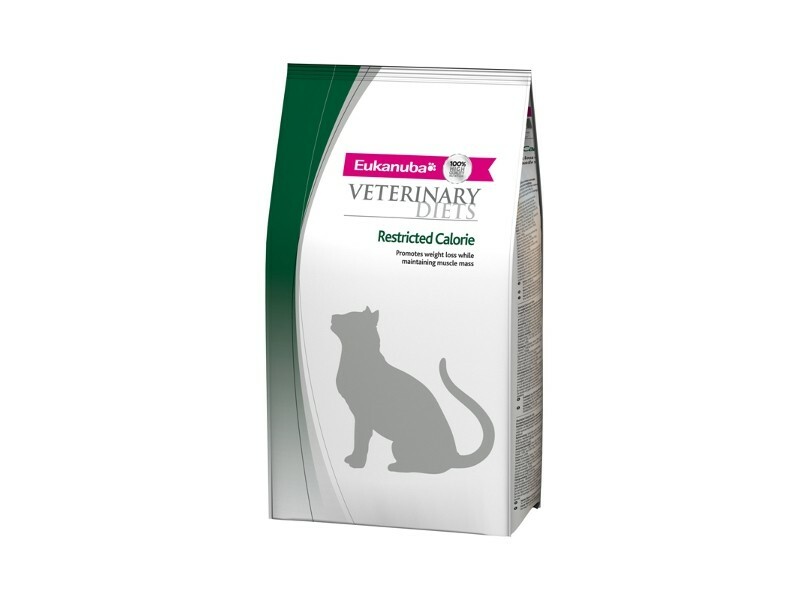 Eukanuba Restricted Calorie Formula Veterinary Diet for cats is a high-quality food that has been specially developed to help your cat lose excess pounds safely while supporting related joint mobility problems. You can feed a reasonable amount while still controlling fat and calorie intake. 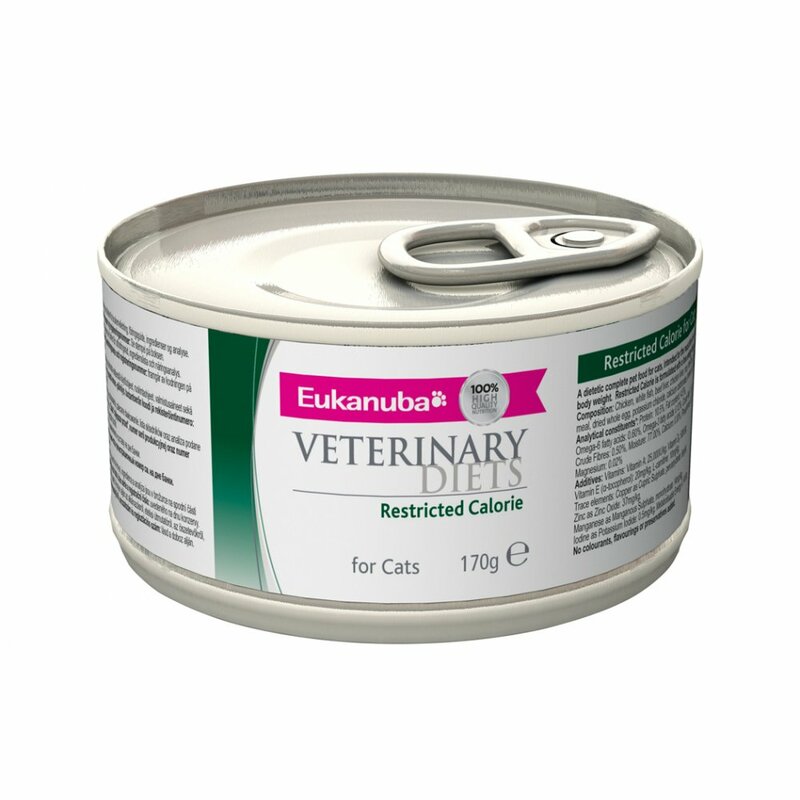 Restricted-Calorie formulas are low-calorie, low-fat diets with high-quality, animal-based proteins. This helps your pet lose fat but keep lean muscle. Dried Chicken and Turkey, maize grits, maize, fish meal, dried beet pulp, sorghum, dried whole egg, animal fat, chicken digest, fructooligosaccharides, brewer’s dried yeast, potassium chloride, glucosamine (475mg/kg), chondroitin sulphate (45mg/kg). Chicken, white fish, beef liver, chicken liver, rice, beef by-products, fish meal, dried whole egg, potassium chloride, calcium carbonate, brewer’s dried yeast. 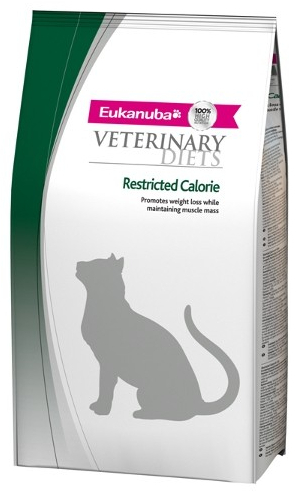 There are currently no questions for Eukanuba Veterinary Diets Restricted Calorie Cat Food - be the first to ask one!